Looking for a mountain biking goal this summer? How about one that includes prizes, bragging rights and, most importantly, the chance to ride miles and miles worth of outstanding singletrack? We have you covered: Just head to Gunnison and Crested Butte and register for the new TrailQuest Challenge. It’s no secret that the region’s riding is spectacular. From the desert rides of Gunnison’s Hartman Rocks to the leg-burners of Crested Butte’s high alpine trails, the Gunnison Valley serves up more than 750 miles of world-class singletrack—the biggest and most varied trail network in the world. The goal of the TrailQuest, a new virtual competition, is to get riders to get in the saddle and sample them. Here’s how it works: The CBGTrails App by GoMaps tracks and record rides in the TrailQuest competition. Each unique mile of trail you ride adds up in a virtual race to 750. Once participants achieve mile markers, they receive prizes. Ride 750 unique miles and you’ll take home a TrailQuest jersey, bragging rights and the knowledge that you’re pounded some serious trails. Regardless of the leaderboard, it’s all about having fun. “We have so many great rides that getting a high count on TrailQuest means you’re out riding some of the best trails on the planet,” says Dave Wiens, executive director of the International Mountain Bicycling Association (IMBA), who by no coincidence also lives in the Gunnison Valley. Come (virtually, at least) ride with him. Rack up your TrailQuest Miles on these outstanding off-the-radar rides. Aberdeen Loop, Hartman Rocks: This remote loop takes you toward the edges of the developed BLM parcel at Hartman Rocks in Gunnison. It serves up a longer climb and descent than anywhere else at Hartman and it will earn you 11 unique TrailQuest miles depending on how you ride the loop. Try it in late May when the flowers are popping. The 409s: Super popular with the locals, these two trails connect the Cement Creek and Brush Creek drainages. Whether you go over and back from either drainage, climb 409 and descend 409.5. Riding from Cement Creek will net you 12 unique trail miles. Lupine Loops: With easy-access from downtown Crested Butte or Mt. Crested Butte, these fun loops offer at least a half-dozen variations and link-ups with other trails. Stick with the standard Lupine 1-Lupine 2 or link it up with Snodgrass, Upper Loop, Lower Loop, Upper Upper Loop, Upper Lower Loop, or any number of other lovely trails. Deer Creek: This grinder, a beautiful cross-country trail around the back side of Crested Butte Mountain, suffers from a tough rep with the locals who complain it’s uphill the whole time. Don’t listen. Thanks to a new CBMBA reroute, it rides well in either direction. Do bring lots of snacks and some bug repellant, and enjoy one of the most scenic trails in the region. Kebler Wagon Pass/Lily Lake: Using the town of Crested Butte as your trailhead, you can make a lollipop loop that showcases the best of the West Elk Mountains. Highlights on this ride include wildflowers in summer, golden aspens in fall and outstanding mushroom hunting in August. Beginner and intermediate trails make up the bulk of the singletrack, so let your friends or family tag along. Après: In Gunnison, hit Main Street and Tomichi Avenue/Highway 50 for eateries and bars just a short distance from Hartman Rocks. Topping the list are the High Alpine Brewery and the new spot in town, The Dive, located right next to Western State student/alum fave Mario’s. Take in some music at the Gunnison Arts Center or I Bar Ranch. Try their Burgers and Bluegrass Tuesday nights. 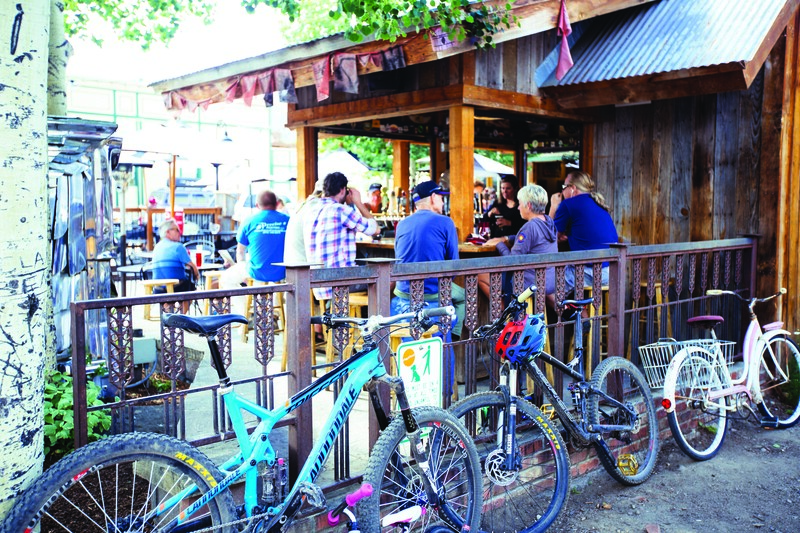 If you ride Doctor Park or Texas Ridge in Taylor Canyon (which you should), try a barbecue or suds session on a riverside deck in Almont. 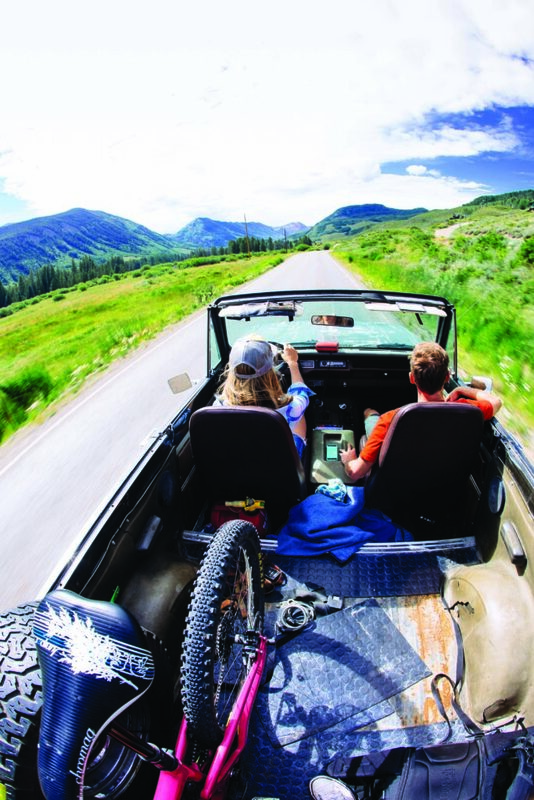 In Crested Butte, ride straight from the trailhead to Elk Avenue and downtown. The Brick Oven draws bikers early in the day and Third Bowl Homemade Ice Cream makes for some cool après—or just seek out the most happening patio (check out the Alpenglow free concerts). At Crested Butte Mountain Resort, head to the base of the Evolution Bike Park for burgers and beer, and free concerts on Wednesday evenings, July through mid-August. Bonus: On Wednesday and Friday afternoons, the lifts stay open until 7:00 p.m. for twilight hours. You can also hit up CB South at the base of Cement Creek Road, for margaritas and pizza. Lodging: Local options range from inexpensive motels and campgrounds to fine luxury homes and condos, all close to the best mountain biking in the world. 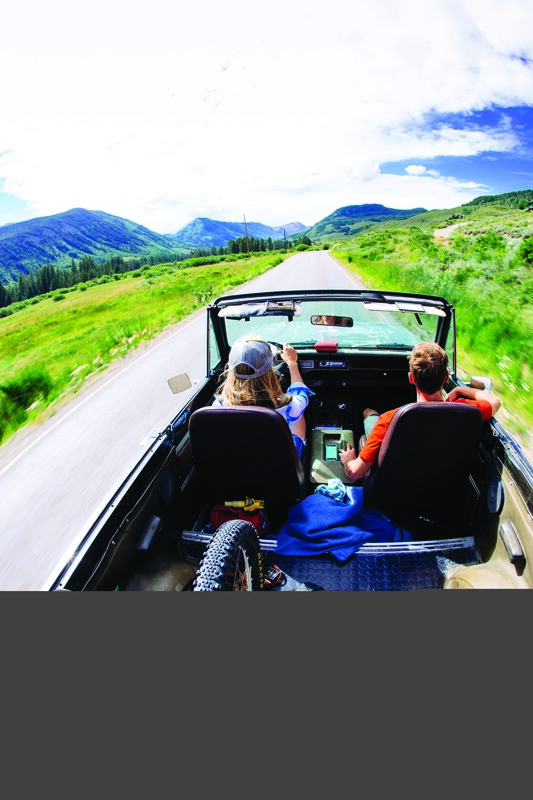 In Gunnison and Almont you’ll find a host of campgrounds, motels, inns, cabins and even dude ranches (most offer ground level rooms for easy bike storage). In the town of Crested Butte (mtbhome.com/the-scene/the-towns/crested-butte/) and the resort of Mt. Crested Butte (mtbhome.com/the-scene/the-towns/mt-crested-butte/) you’ll find a mix of inns, hotels, lodges, and condos, plus vacation homes. Town offers smaller lodging properties (mostly bed and breakfasts and inns), and is close to restaurants, shopping and nightlife (note: summer weekends book early, so plan ahead). The resort offers access to Evolution Bike Park and the Gothic mountain bike trails (mtbhome.com/trail-area/gothic). The history of mountain biking starts in Crested Butte. As far back as the 1970s, modified road bikes, called Crested Butte Klunkers, took riders onto the region’s vast mining road network. The sport developed simultaneously in places like Marin, California, where the focus was on bike technology. But in Crested Butte it was all about trail building. 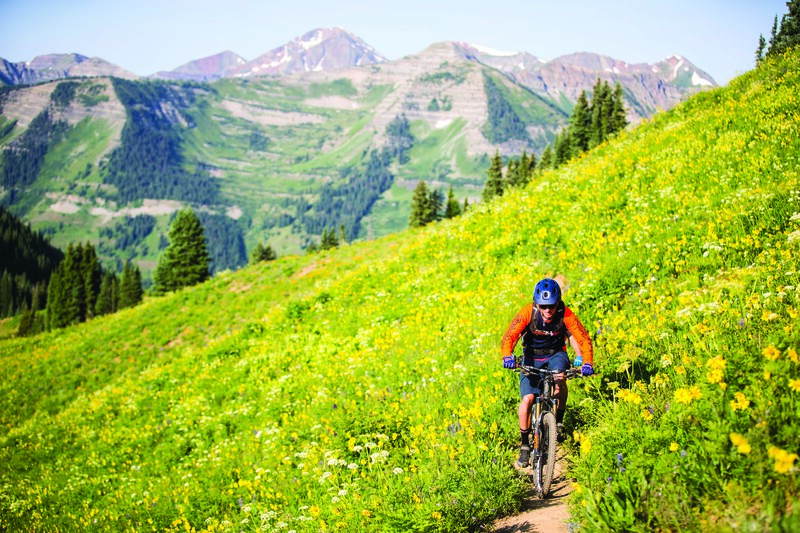 Today, Crested Butte Mountain Bike Association manages 450+ miles of trail. Add in the south end of the Gunnison Valley with another 300 more and you have the largest network of trails in the world.